Stay with us in one of our beautiful North Shore vacation rentals and discover our friendly communities of Hanalei and Princeville. Since the mid 60's, the Kobayashi family has provided exceptional Hawaiian vacation rentals to generations of loyal guest families. Our A+ Better Business Bureau rating has been earned over the years by taking great care of our vacationing guests. 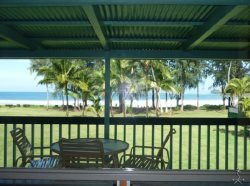 Our rentals are located on the Hanalei Bay beach, the Hanalei community and Princeville. Book your vacation rental online, and feel free to phone us anytime at (808) 828-1918. Aloha! All of our homes and condos are within walking distance or short drive to Hanalei Bay beaches and the town center. Stay in one of our family vacation rentals and spend time relaxing on the beach, enjoying the beauty of the mountains & waterfalls, dining and shopping in Hanalei or Princeville, playing a round of golf, or venturing out to explore the many beaches and sites on the North Shore and our beautiful island. We have a wonderful selection of vacation homes and condos in the North Shore communities of Hanalei and Princeville. Youll enjoy staying in a home or condo along the beach of Hanalei Bay, in the community of Hanalei, or a condo on the Makai Golf Course in Princeville. Our A+ Better Business Bureau rating has been earned over the years by taking great care of our guests, and we look forward to helping you have a lovely Hawaiian vacation. The stunning north shore cliffs and uncrowded sandy beaches meet to create an ideal setting for our Hanalei beachfront vacation homes. Vacationers continue to enjoy Hanalei Bay and the charming little Hawaiian town of Hanalei along the north shore of Kauai. We have one, two and three bedroom homes that come fully equipped for your vacation accommodations. A+ BBB. Hanalei Bay on Kauais north shore is where beautiful island scenery is complemented by the lovely vacation rentals of the Kobayashi family and friends. When you stay in our vacation homes located about 200 yards off the beach, youll be able to enjoy a super short walk to Hanalei Bay and easy stroll to the small Hanalei community for dining and shopping. A+ BBB. Makai Golf Course is one of several exceptional courses in Princeville, which lies between Hanalei Bay and Anini Beach. The beautiful courses and stunning Hawaiian views of the ocean and cliffs make a wonderful place for your next golf vacation. Rent our fully equipped vacation condo on the Makai Golf Course. We have 2 vacation condos in beautiful Brians Head, Utah - a great destination for skiing, hiking, family activities & fun things to do all year-round. Brians Head is about 50 miles north of St George, UT. Close to Cedar Breaks, Kolob Canyons, Bryce and Zion. For a very relaxing, comfy, and fun vacation, stay in our vacation condos with easy access to the ski slopes and other seasonal activities.